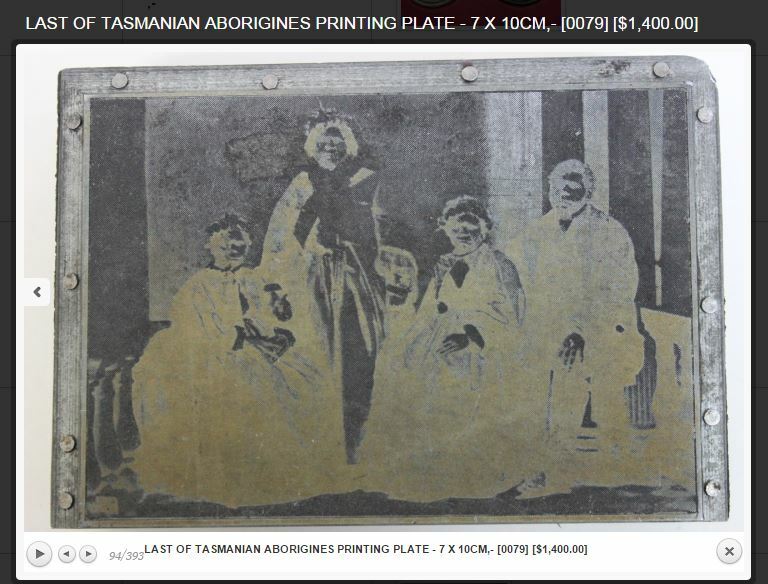 Understandable, it seems, that a commercially produced photograph in 1860s-1870s Tasmania would show some sort of colouring to enhance its decorative or sentimental appeal, especially if the narrative suggested by the photograph was the civilizing of Tasmanian Aborigines who were thought to be near extinction by the last few decades of the 19th century, and that the photographic studio renowned for bold artistic experimentations with colouring was Friths on Murray Street, Hobart. 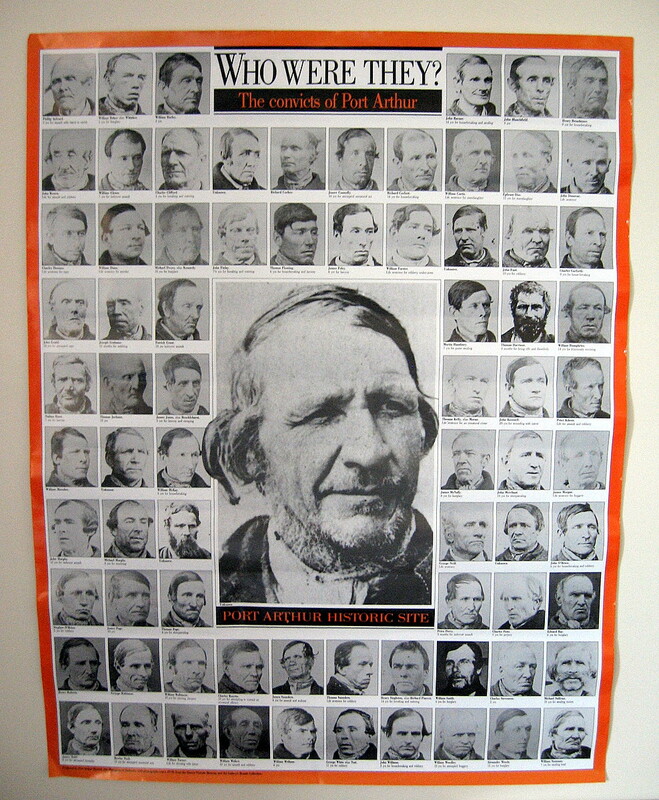 Less understandable is the hand-tinting of photographs of prisoners – or “Convict Portraits” as they became known – taken expressly for police use as gaol records, unless, of course, the photographic studio engaged for the purpose of providing those mugshots was operated by Thomas J. Nevin, on Elizabeth Street, Hobart. While civil servant and police photographer Thomas Nevin was so well-known for his hand-tinted photographs that he was taunted with derogatory remarks about his “ornaments of colour” when questioned by the Mayor in a police committee meeting in December 1880, the hand-tinting of these two extant prints of Tasmanian Aborigines (below) of photographs attributed to Henry Frith taken in 1864 is unlikely to be the work of his colleague Letitia Davidson, described in the press as a “portrait painter” who departed Tasmania in 1867. 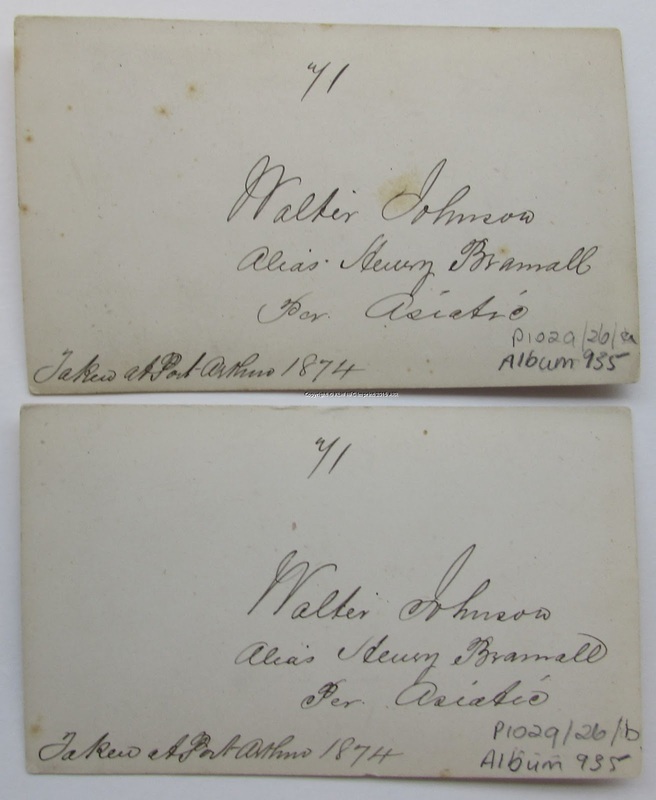 The hand-tinting on these two examples was applied by later copyists at Hobart studios in the 1870s. 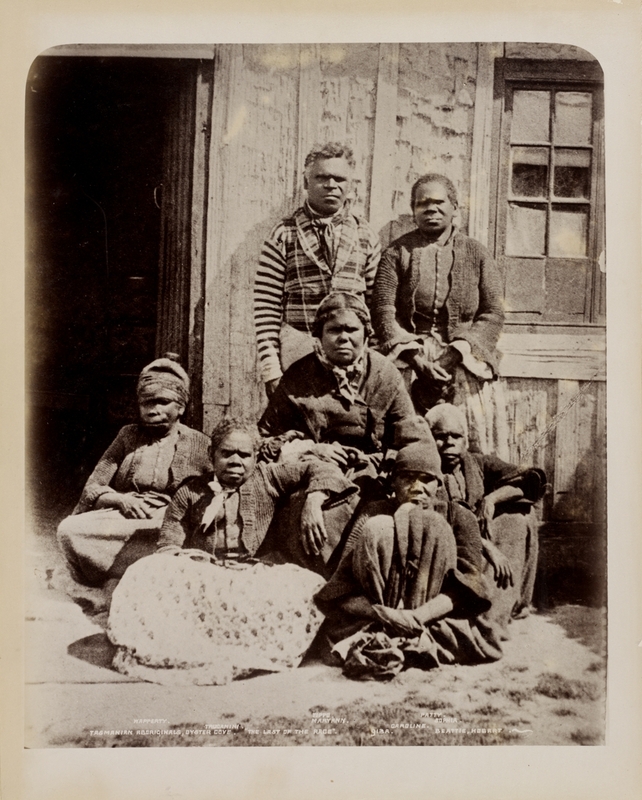 The original session in which these two photographs were taken of the same four sitters, Tasmanian Aboriginal people identified by Julie Gough (see below, 2014) as William Lanne (male, seated), Mary Ann (standing), Trucanini (on viewer’s right) and Pangernowidedic (on viewer’s left) is dated 1864 and widely credited to the studio of Henry Albert Frith of 19 Murray Street, Hobart. The original photographs were mass produced over the next 40 years in various formats, as a large albumen silver photograph (NGA), as a sennotype, as a lantern slide, and as a plain mounted rectangular carte-de-visite. The originals were taken separately at Government House on the same day with minor changes in seating arrangements. Both of these reproductions were hand-tinted after printing at dates later than the 1864 original sitting, These two images were not processed as sennotypes of the 1860s for which both Henry Frith and Alfred Bock were renowned exponents, nor were they reproduced in the genre of photographic portraits painted over in oils which were much sought after in the 1890s. These reproductions were delicately tinted by studio colourists in the 1870s, using three colours: blue, yellow, and rose, typically applied to some feature of apparel and to some facial features. 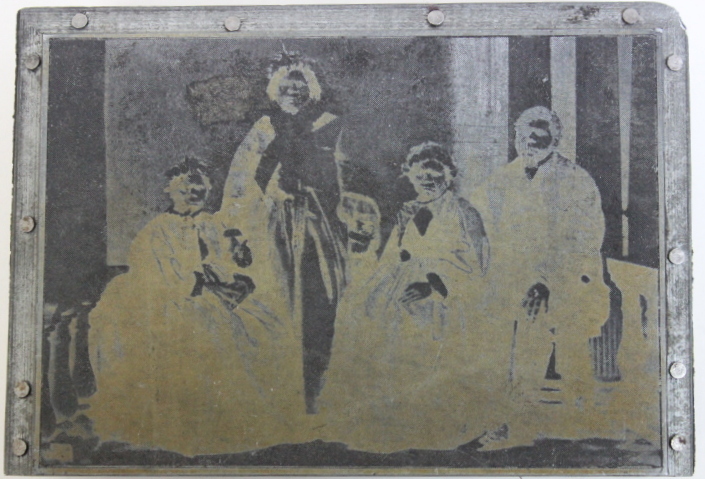 This palette and application to prints is typically found on Nevin’s portraiture of family, clients, and convicts. 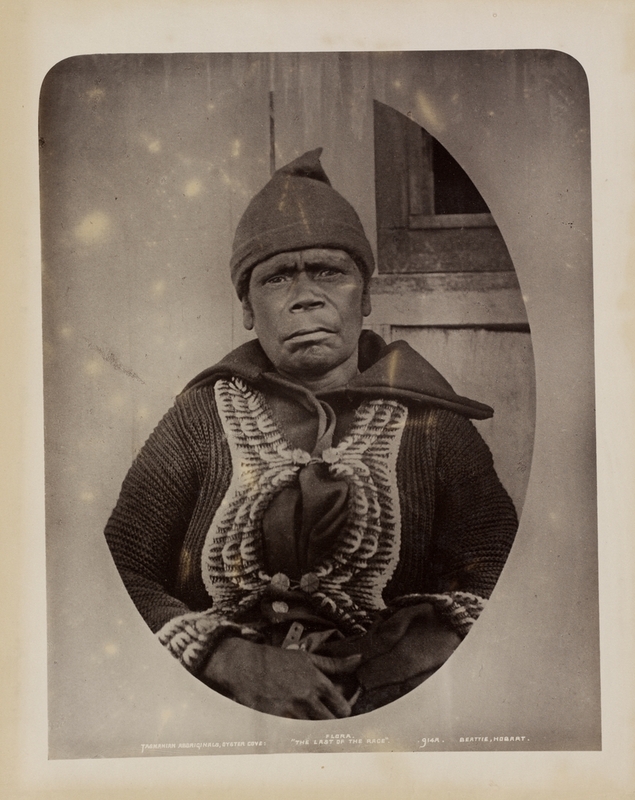 Photographs of the Last of the Aborigines of Tasmania. This first reproduction was obtained by Sir George Grey (1812-1898), Governor of New Zealand, probably ca. 1882 through requests in letters (Auckland PL manuscripts) made to the former Tasmanian Surveyor-General James Erskine Calder for long-neglected Tasmaniana. Calder sourced books mainly from bookseller William Legrand and photographs from John Watt Beattie whose major source of early Tasmanian photographers’ work for his own commercial reproduction from the 1890s onwards was the Royal Society’s Museum. 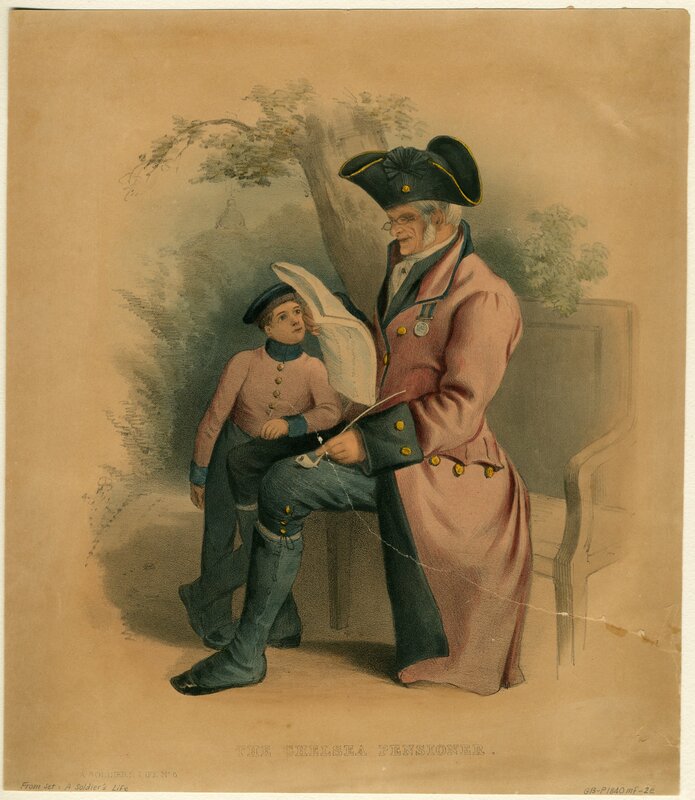 This one sent to Grey was not a late Beattie reproduction; it was an older reproduction, a hand-tinted copy from the 1870s already held by the Museum when it was sourced and sent to Grey in New Zealand, and which he shortly afterwards donated to the Auckland Art Gallery in 1893. 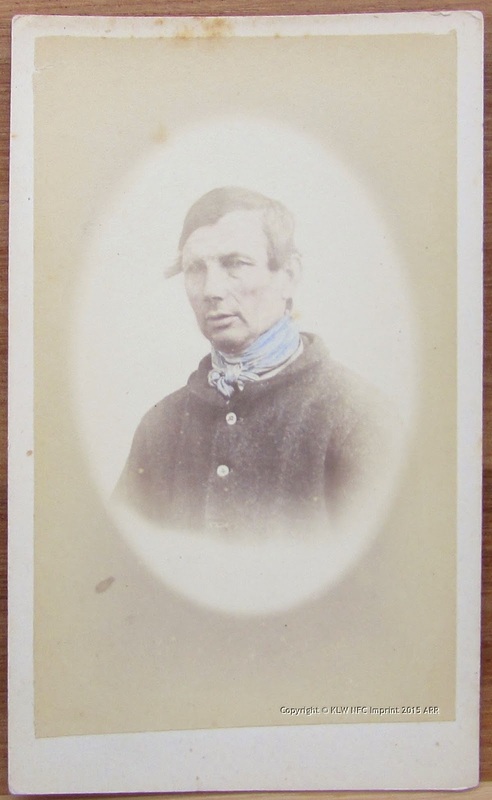 The second hand-tinted cdv reproduction (below) is dated ca. 1875 by (Prof) Jane Lennon, antiques dealer. 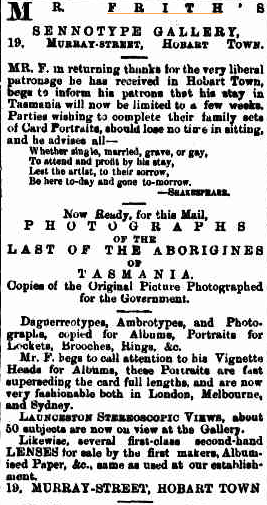 THE LAST OF THE NATIVE RACE OF TASMANIA / ALL DEAD / THE ORIGINAL PICTURE TAKEN FOR THE TASMANIAN GOVERNMENT AND PLACED IN THE MUSEUM, HOBART, 1865. PHOTOGRAPHY BY H.A. FRITH. PUBLISHED IN THE ILLUSTRATED LONDON JOURNAL , 7TH JANUARY 1865 (PAGE 13). 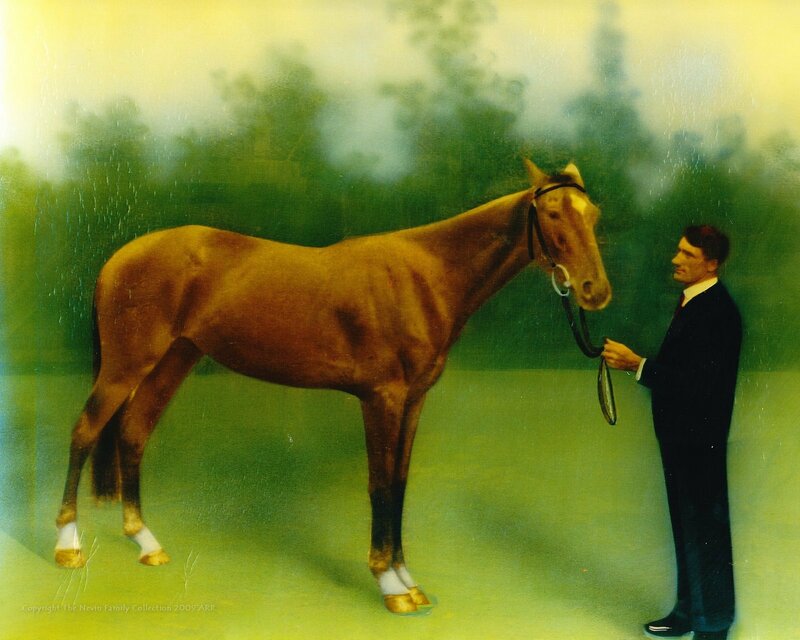 A LARGE COPY, TAKEN FROM THE ORIGINAL NEGATIVE, HAS BEEN PURCHASED BY SIR GEORGE GREY, TO BE PLACED IN THE ART GALLERY, AUCKLAND. This second hand-tinted reproduction (below) was dated ca. 1875 by Jane Lennon when John Hawkins published it in 2008. Hawkins notes the seating re-arrangement but not the fact that the balustrades on the upper internal balcony on either side of the sitters are more visible, while the tops of the columns are not. This may be another photographer’s negative, perhaps one taken by someone working with Frith, Letitia Davidson, for example, who may have been present on the occasion, which was the annual Ball held at Government House in honour of Queen Victoria’s birthday (May 27th). The print is not as carefully reproduced as the one above, and the hand-tinting differs slightly as well. 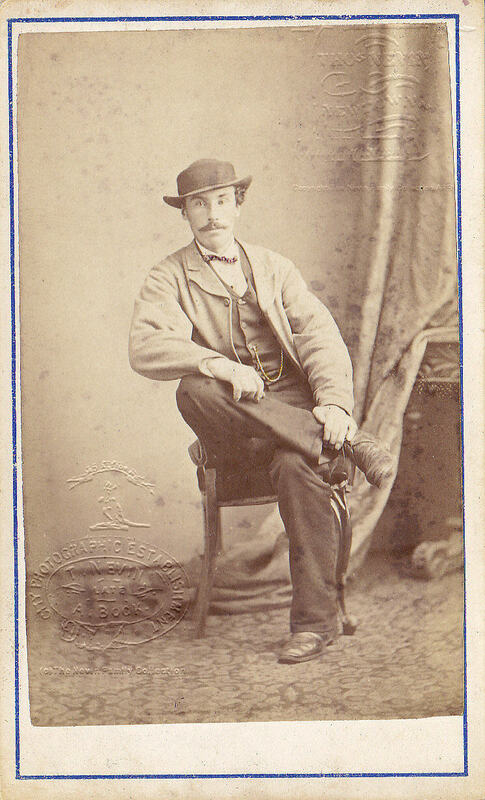 Any number of studios in the 1870s might have reproduced this less formally represented photograph. 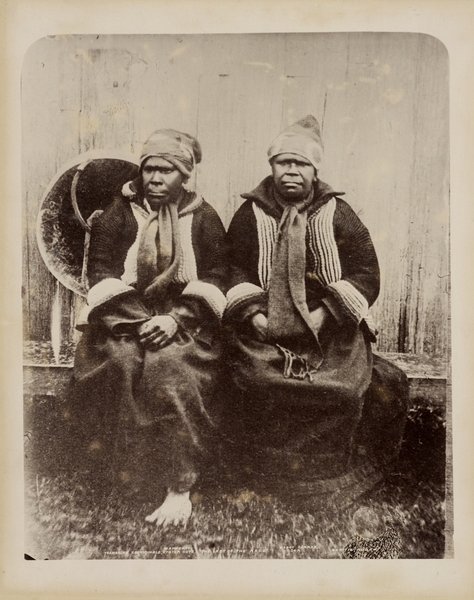 Julie Gough on pages 45 and 46 of of her chapter titled “The First Photographs of Tasmanian Aboriginal People” in Calling the shots: Indigenous photographies edited by Jane Lydon (2014), suggests that Henry Frith’s assistant, Letitia Davidson took this photograph of two women (below) at Oyster Cove, one of a collection held at the State library of NSW with attribution to Francis Russell Nixon, dated 1858 (reproduced by Beattie 1890, 1899). Above: Julie Gough’s attribution of this photograph to Letitia Davidson (2014:46). These are Beattie’s reproductions (above) from the 1890s (SLNSW) of the originals (below) which were published in Nixon’s Cruise of the Beacon in 1854 (TAHO) and not in 1858, nor indeed for the 1866 Intercolonial Exhibition. None is hand-tinted. Furthermore, the way Nixon has contextualised these originals in the Cruise of the Beacon, which is by way of a subjoined lengthy quotation from the Oyster Cove superintendent, Dr. Milligan, might suggest that Nixon was not even the original photographer, since he does not openly claim to be so anywhere in the text. 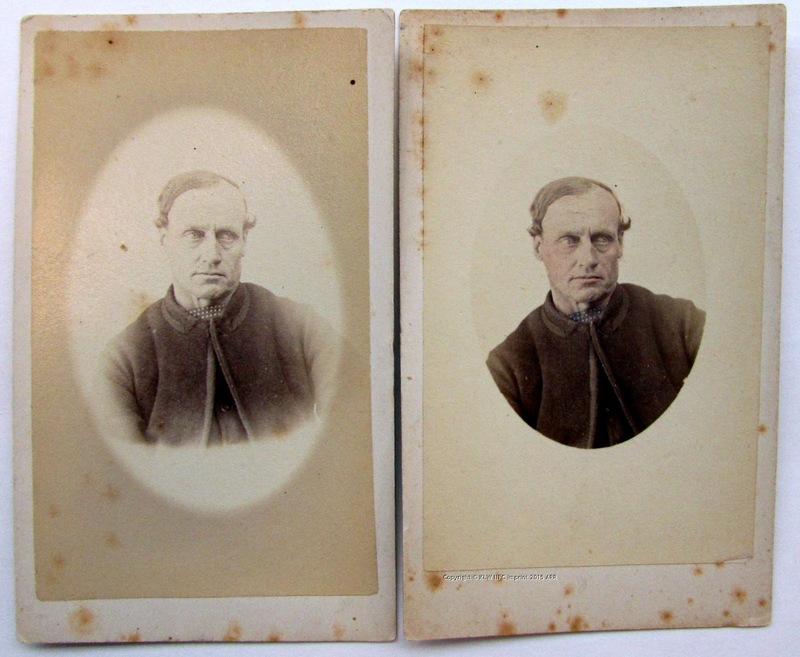 Another photographer of the 1850s cohort may well have taken these originals for Dr Milligan prior to their publication in London by Nixon in 1854. The watercolour and pen illustrations are by Nixon, as the handwritten dedication to his wife A.M. states, and those illustrations are indexed with page numbers in the frontispiece, but the photographs have no page listings or indexed titles. 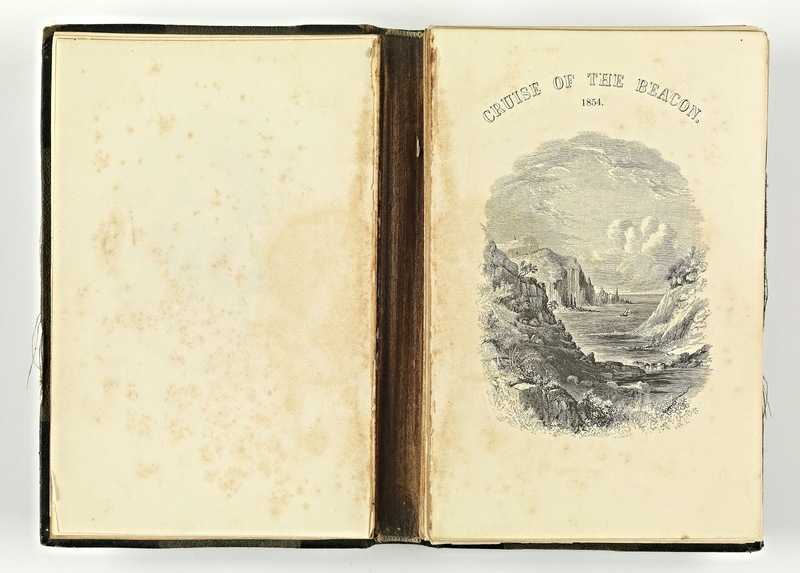 [Above]: The originals, published in the 1854 edition of Francis Russell Nixon’s Cruise of the Beacon, London: printed by Richard Clay, Bread Street Hill. 1854. 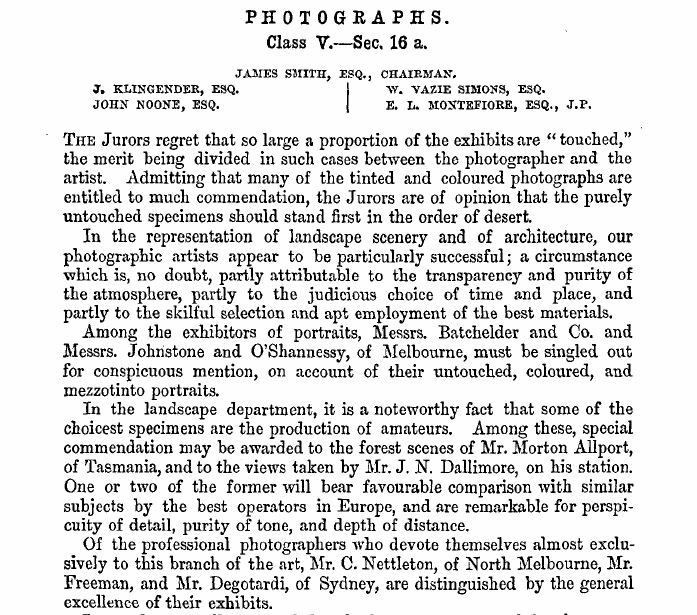 Yet this entry in the 1866 Exhibition catalogue is somewhat ambiguous: it implies that Mrs Davidson exhibited not one but several photographs of two women, and does not state whether the two women were photographed as a couple in a single portrait, or whether there were several versions of this couple photographed together, or whether these two women were each photographed individually. More importantly, it does not state whether the photographs were hand-coloured, as was her intention when she submitted her tender, published in The Mercury on June 6th, 1866. Did she exhibit the five photographs she had planned? Apart from these vagaries, there is the question too about Letitia Davidson’s identity. 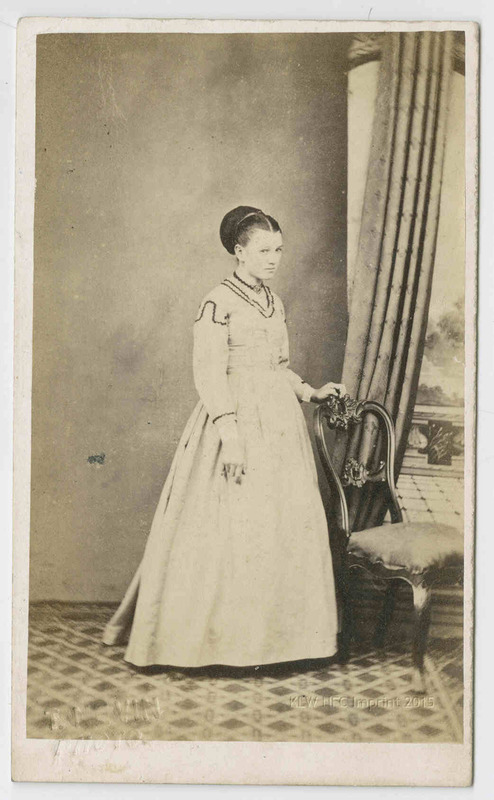 Twice in the press she was referred to as “Miss Davidson”, as in the notice above of June 6th 1866, and again in April 1867 when she advertised the sale of photographica and furniture at the shop, 19 Murray St. prior to departure from Tasmania in May 1867. “Davidson” may have been her maiden name. Those who referred to her as “Mrs Davidson” may have extended her a simple courtesy shown to unmarried older women. On the other hand, some photo historians assumed she was the sister of the brothers Frederick and Henry Firth, repeated here by Julie Gough. If so, who and where was Mr Davidson? Was he James William Davidson who married a Letitia Frith at Edinburgh on 11th February 1845? Was he the surveyor working in Hobart in the 1860s? 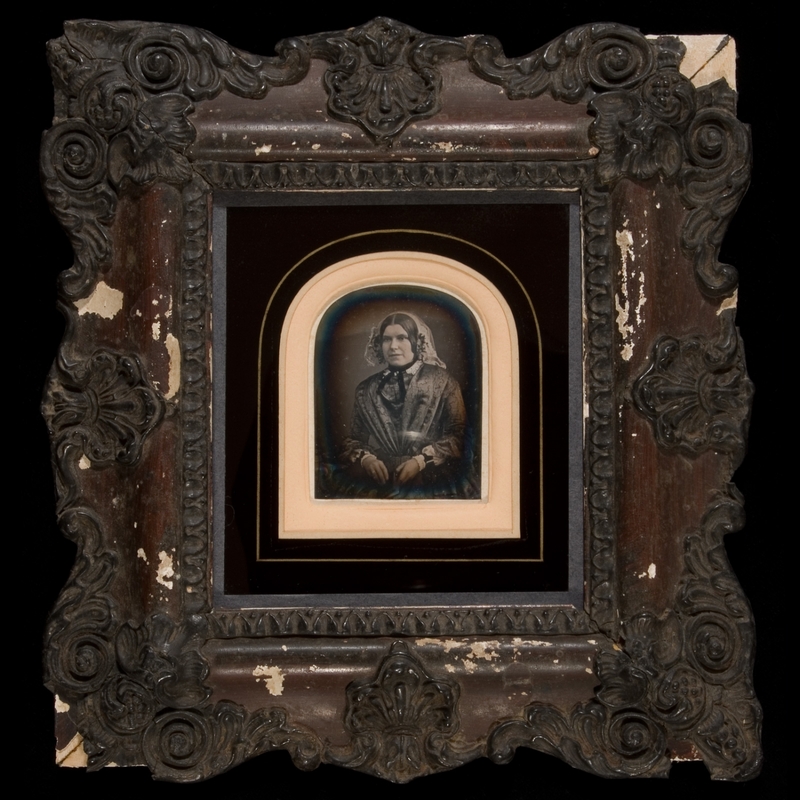 Letitia Davidson’s dagueurreotypes have yet to be identified, as well. Mrs Davidson was a “portrait painter” at Murray St Hobart by 1861, according to the newspaper report of a theft from her shop of a daquerreotype by a woman called Mary Hughes (Mercury, 9 April 1861). Julie Gough has designated Mrs Davidson’s role that of a “colourist” and not a “portrait painter” . The latter occupation involved a good deal more than the hand-tinting of facial features and items of clothing on prints in the years when the sennotype was a patented and complex format much sought out by the clients at Mrs Davidson’s studio, 1864-65, established with the Frith brothers. 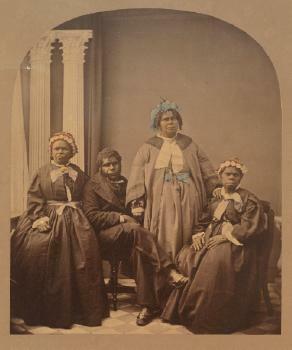 However, the portrait of two Aboriginal women chosen for re-attribution to Mrs Davidson is not hand-coloured, so the occupational term “colourist” applied to this appellate case contradicts or undermines an otherwise sincere attempt at re-attribution in our era when so few photographs taken by women in the mid 19th century have survived or been identified as such. 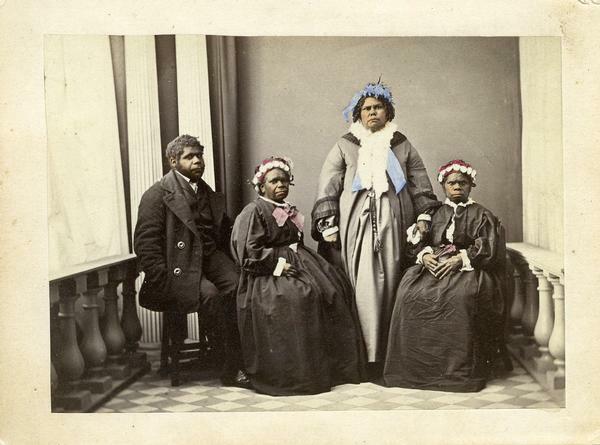 So, what did the Jurors of the 1866 Intercolonial Exhibition of Australasia, Melbourne think of photographs “touched” with colour, and who won medals? They ranked tinted and coloured photographs as second class. 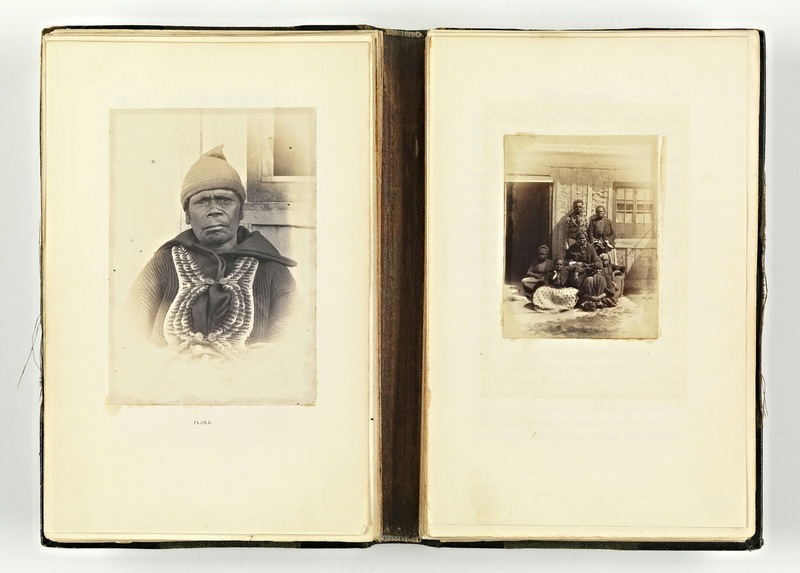 It might well have been the case that Letitia Davidson’s photographs of two Aboriginal women were tinted or colored as she had stated in her tender but are not known to exist or identified at this point in time, and she forfeited consideration as a result. 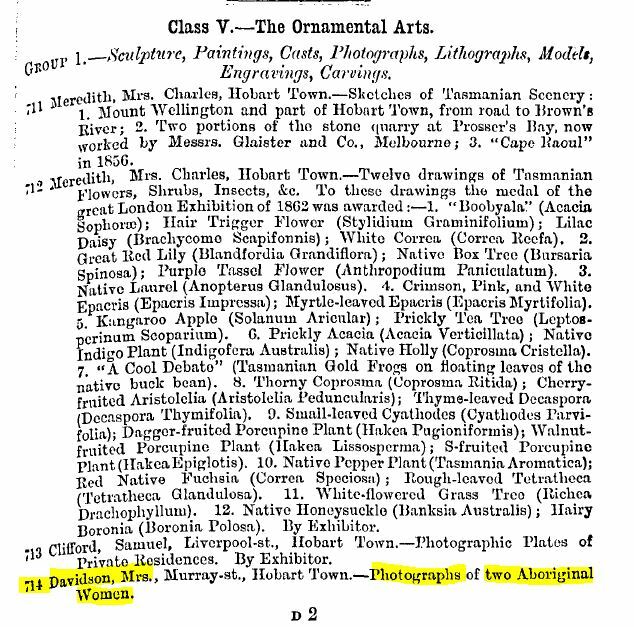 The usual Tasmanian photographers of the mid 1860s won medals: Morton Allport, William Cawston, Henry Hall Bailey [sic], Samuel Clifford, Stephen Spurling, and Charles A. Woolley for his Aboriginal portraits. The catalogue on pps 350-351. Two framed half plate hand coloured ambrotypes of Mr and Mrs S.H Greuber by Letita Davidson, Frith & Co –Photographers Hobart 1862-7 were purchased. 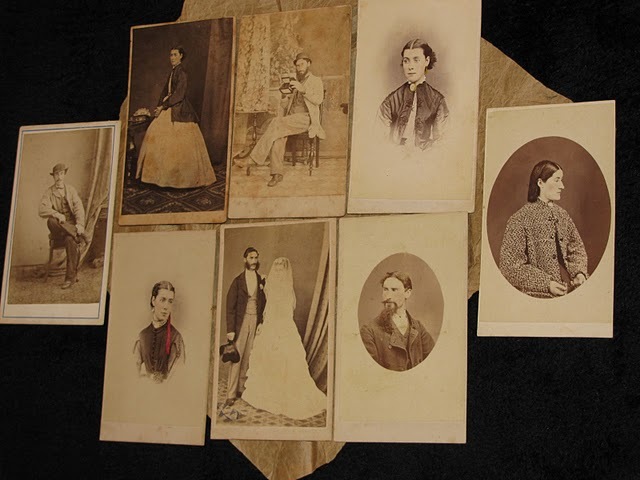 These are society portraits of the landed gentry, what might be expected from the Friths’ Studio. They are wholly dissimilar to the Aboriginal portrait above which Julie Gough has chosen for re-attribution from Bishop Nixon to Letitia Davidson. The colouring on these two examples of portraits of Mr and Mrs Greuber is minimal, not exactly congruent with Letitia Davidson’s reputation as a “portrait painter” but certainly consistent with the technique of hand-colouring evident in the two group portraits taken by Frith of Tasmanian Aborigines (above) at Government House in 1864. This third portrait (below), an ambrotype, is of Jane Kennerley nee Rouse, wife of Hobart Mayor Alfred Kennerley. Although unattributed where it is displayed at the Sydney Museums Exhibition page titled THROUGH A GLASS DARKLY, it was most likely taken by Letitia Davidson at the Frith & Co studios in Murray St. Hobart ca. 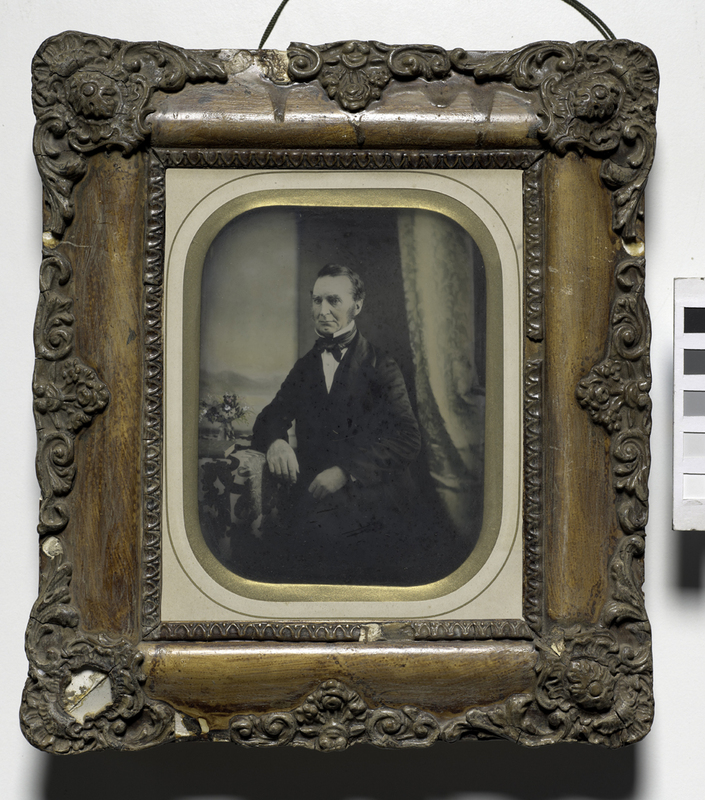 1865; the frame for this portrait is very similar to the two Davidson portraits recently acquired by the TMAG. Jane Kennerley, nee Rouse, was the second daughter of Richard Rouse (1774-1852), early Hawkesbury settler and colonial government employee, and his wife Elizabeth Adams (1772-1849). Her earliest years were spent at Parramatta where her father was an auctioneer and Superintendent of Government Works but she grew up at Rouse Hill, a house her father began building in 1813. This house became the centre of the Rouse family estates. In February 1834 Jane married Alfred Kennerley, a recently-arrived English settler who had bought a property called ‘The Retreat Farm’ at Bringelly, near Camden. Kennerley owned The Retreat Farm (later called Kelvin) for more than twenty years but he and Jane spent some of that time in England and when they returned to Australia in 1857 they settled in Hobart, Tasmania. Kennerley became a magistrate, was elected to the city council and served as Mayor of Hobart. He was elected to the Tasmanian Legislative Council in 1865 and served as Premier from 1873 to 1876. Jane maintained frequent contact with her family at Rouse Hill and members of the extended Rouse family sometimes holidayed in Hobart. Jane Kennerley died in Hobart in May 1877. Prosecutrix Letitia Davidson, portrait painter, Murray St. Hobart, had not even noticed a daguerreotype was missing from the counter in the shop and studio she operated with brothers Frederick and Henry Frith until it was brought back to her for identification by Detective Macguire. Despite the return of the daguerreotype, hardly missed in any event, and despite knowing that the offender Mary Hughes was an elderly beggar from an earlier encounter at her house, Mrs Davidson somewhat heartlessly prosecuted the case, resulting in a three month sentence with hard labour for Mary Hughes. 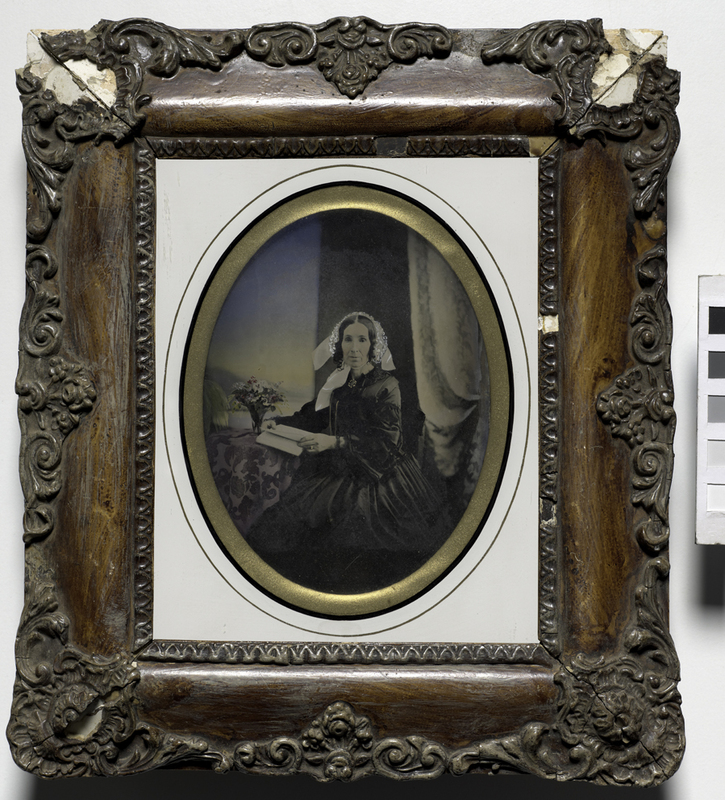 Mary Hughes remanded on a charge of stealing a daguerreotype portrait, the property of Letitia Davidson. 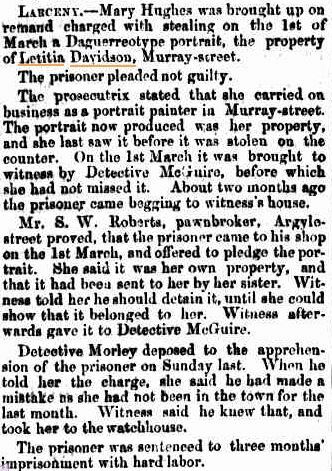 Mary Hughes had tried pawning the daguerreotype but the pawnbroker Mrs S. W. Roberts retained it and notified police, resulting in three months’ imprisonment with hard labor for this theft from Mrs Davidson (The Mercury 10 April 1861). Mary Hughes was repeatedly imprisoned for begging, the last recorded sentence being 1868. Mary Hughes, transported on the convict ship Westmoreland, tried in the Supreme Court Hobart on 31st January 1868, born in England, aged 70 yrs old, height 4’10”. grey hair, Free in Servitude, was discharged from the Hobart Gaol on 29th April 1868, having served a three month sentence for begging. 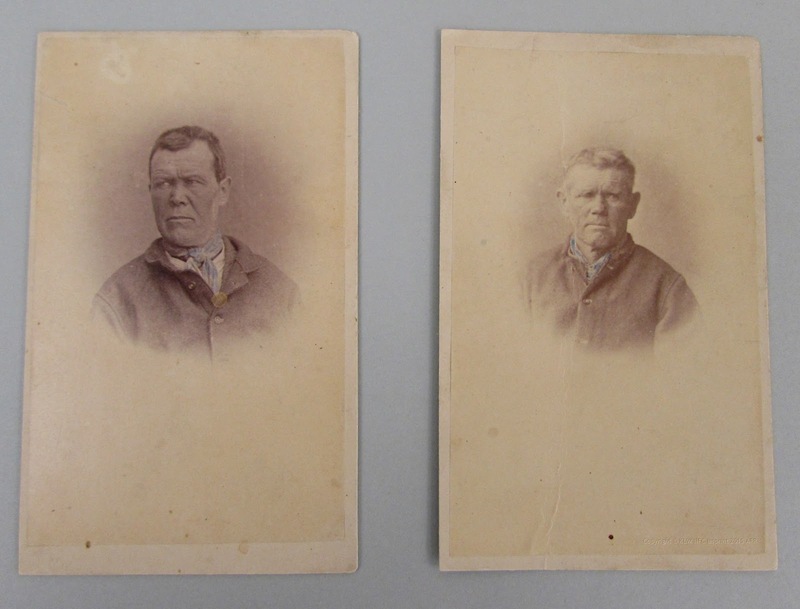 These two carte-de-visite prisoner identification photogaphs (portraits or mugshots) were taken and printed by commercial photographer Thomas J. Nevin ca. 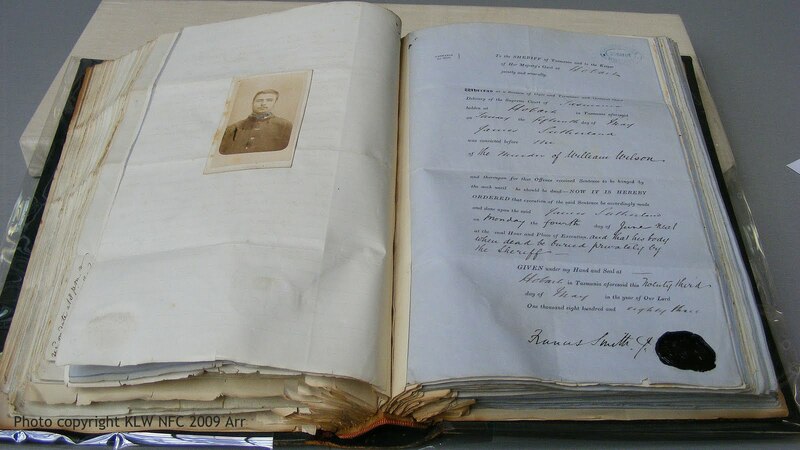 1874 for the Municipal Police Office registry, Hobart Town Hall, while he was still operating from his studio, the City Photographic Establishment, 140 Elizabeth St. Hobart. Nevin and his assistants took some time over these two prisoner photographs, printing them as vignettes (cloudy background) and hand-tinting the prison-issue, check-patterned scarf in light blue to better identify the sitter as a prisoner. 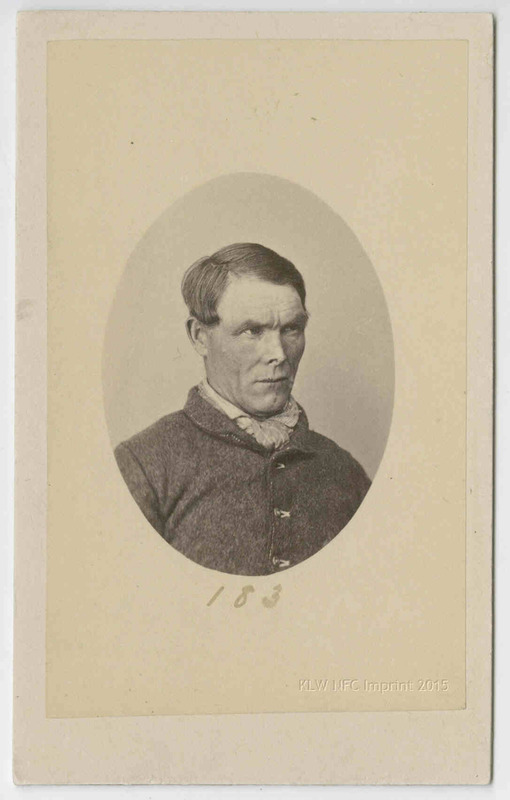 At least five more of these hand-tinted prisoner photographs by Nevin are held in public institutions (see more below from the NLA, TMAG, and SLNSW). Parchment rots and stinks when damp and poorly stored. The Sheriff’s Office at the Hobart Gaol handed over bundles of rotting prison records to the Archives Office of Tasmania in 1955, some from the Benevolent society. Estrays which had been salvaged by government photographer John Beattie from the Hobart Gaol photographer’s room above the laundry before it was demolished in 1915, were displayed in his “Port Arthur” convictaria museum in Hobart, and bequeathed to the Launceston City and QVMAG on his death in 1930. Others were privately collected by David Scott Mitchell at the State Library of NSW (1907), and Dr Neil Gunson, National Library, Canberra (1964). or auctioned off, at least from the late 1890s to the 1960s. A selection of the extant 300 or so at the Queen Victoria Museum and Art Gallery, Launceston were exhibited as Thomas J. Nevin’s prison photography in 1977. 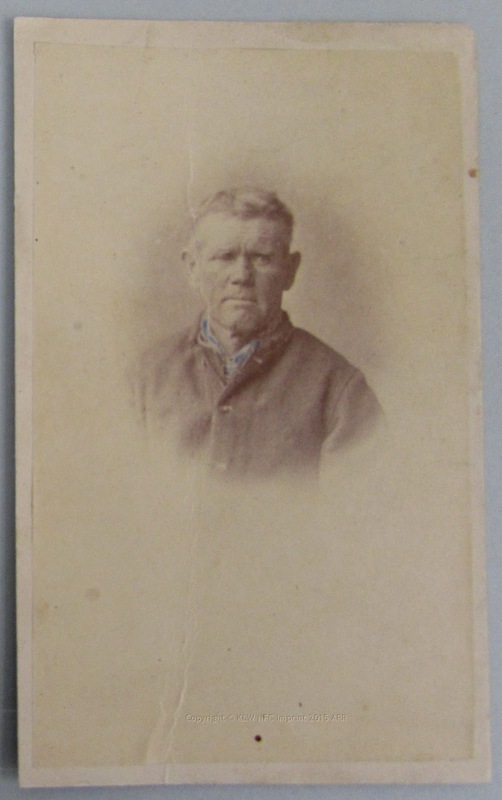 A hundred or more prisoner photographs from Beattie’s collection were thereafter dispersed piecemeal to national and state libraries and museums. 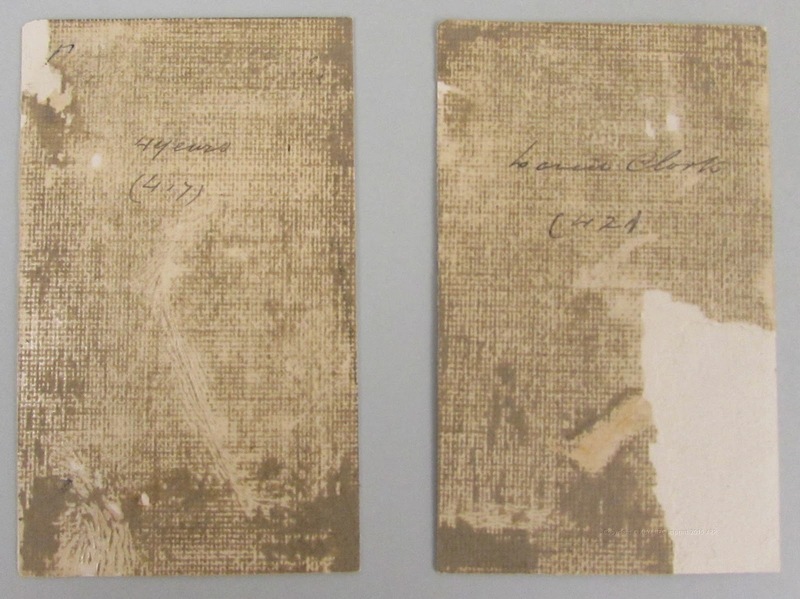 A significant number of Nevin’s duplicates of his originals, and there were at least four made from every negative, were stand-alone cartes-de-visite, often the result of producing more from the same negative when the offender committed or was suspected of further crimes. 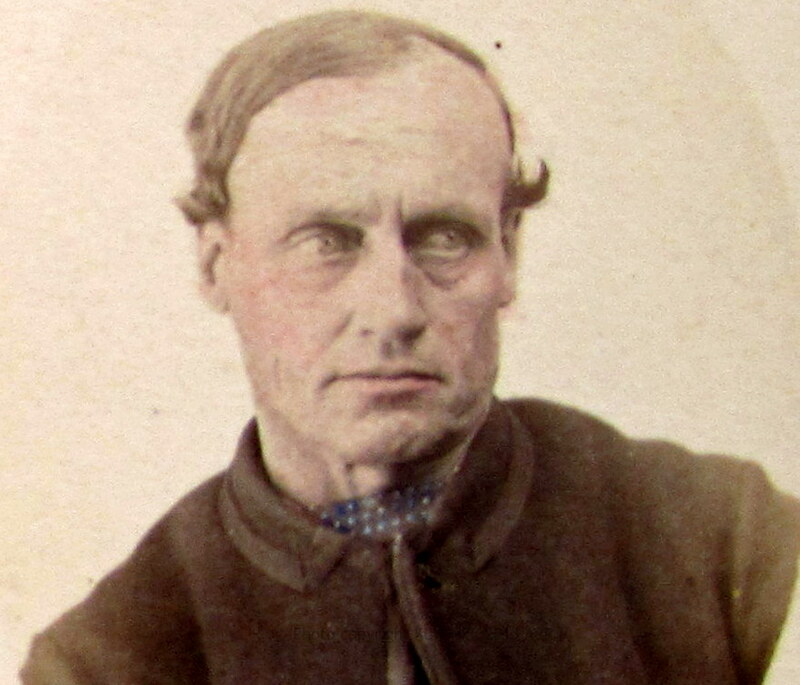 Despite their long journey from Nevin’s hand in the 1870s to the present day, these two prisoner photographs representing John Britton and David Clark have retained a certain delicacy and freshness which must have stirred an aesthetic appreciation in the depositor at the Tasmanian Museum and Art Gallery. But are they objets-d’art or are they vernacular records? Thomas J. Nevin was mocked for his photographic “ornaments of colour” by the representative defending two police constables at the Mayor’s Court meeting of the Police Committee. 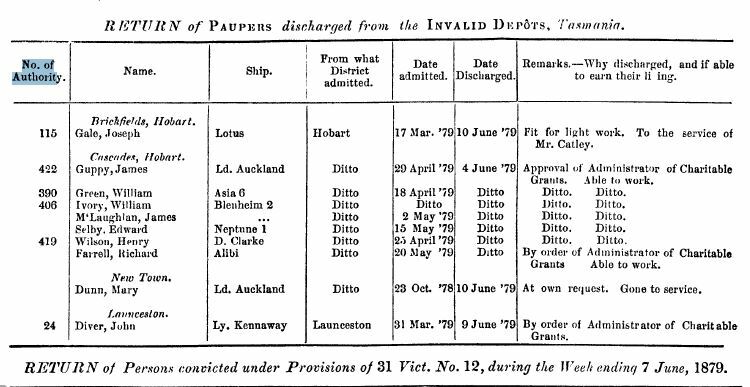 That meeting effected his removal from full-time civil service with the Hobart City Corporation on a trumped-up charge on December 3rd, 1880. His detractors had these two and the other tinted prisoner mugshots in mind: ornaments such as these were judged all too inappropriate for representing the likeness of common criminals. 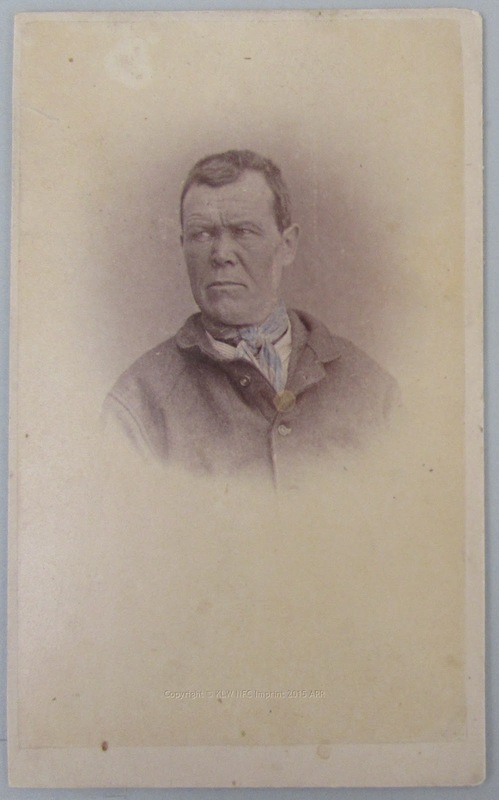 This vignetted carte-de-visite prisoner identification photograph of a “pauper” was taken of John Britton, as he was known to the police in 1879, but he was transported to VDL (Tasmania) in 1842 as John Brittain on board the Candahar. 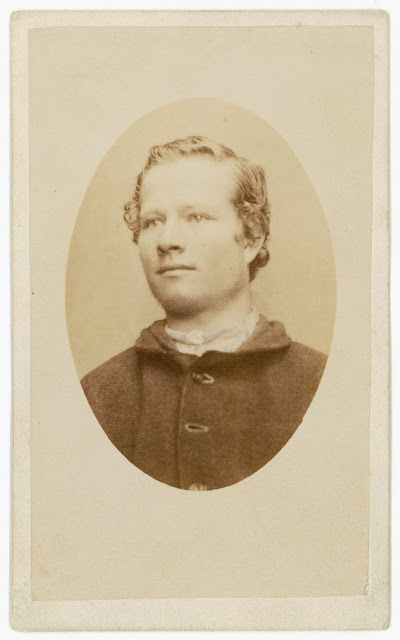 He was 26 yrs old when he arrived in VDL 1842, born ca.1816 and by 1874 when this photograph was taken, he was ca. 58 yrs old. 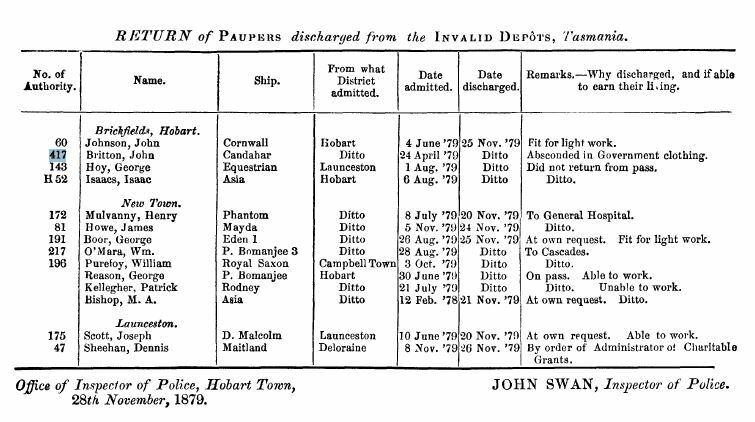 The Returns of Paupers in the Police Gazettes assign a number to the Brickfields Depot and to the Cascades Depot inmates, and some but not others to the inmates at the Invalid Depot, New Town which was close by to Nevin’s photographic studio established by 1864 at New Town and maintained until 1888 concurrently with his City studio. 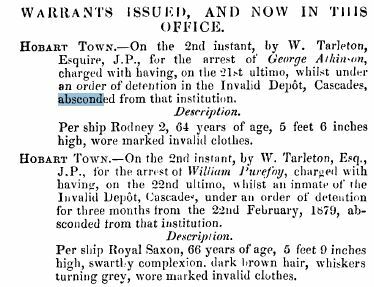 This inmate was not to be found in the Police Gazette records with the number assigned by Authority (No. 421) written on the back of his photograph, so he may have been photographed by Nevin at the New Town depot. The similiarities between the two photographs, however, suggest a common place of capture and the same photographer and colourist, so Britain’s mugshot taken at Brickfields (North Hobart depot) seems to be the common place for both photographic captures. 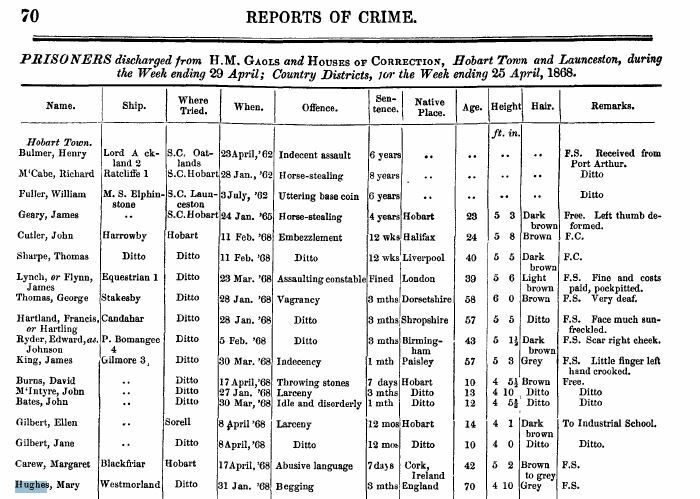 The second problem – apart from not locating his name in the Police Gazettes with his number 421 – nor identifying him from Returns of convictions and discharges recorded in the police gazettes 1866-1885, is the possibility that he was transported on the ship David Clarke, rather than being a man called David Clark, although there are many convicts called David Clark(e) who might fit his description. Photo copyright © KLW NFC 2015 ARR. Watermarked.